By the Community Association Attorneys at SwedelsonGottlieb. 3. The name and address of each member’s legal representative, if any, or other person who can be contacted in case of the member’s extended absence; and 4. Whether the member’s property is owner-occupied, rented, vacant, or undeveloped land. Although the statute does not mention how often an association must solicit this information, it does state that each member is responsible for providing this information to the association on an annual basis. If a member does not provide this information, the member’s onsite mailing address is deemed to be the proper mailing address for the association to deliver notices to the member. We recommend asking owners annually to provide this information. Its important for associations to note that as long as they request all of the contact information above, Section 4041 places the responsibility on members to provide their correct and current contact information. 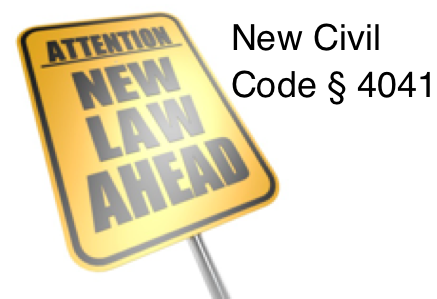 Requiring members to provide this information should aid associations in giving notice of meetings or for other required notices as well as with the collection of delinquent assessments as it should help negate the argument that a notice was sent to the wrong address.